When a disabled child turns 18 years old, many parents assume they will automatically continue to be his legal guardian. You might take care of the person financially, have a power of attorney, or be the disabled child’s Social Security Representative Payee. However, these things don’t make you the legal guardian. After a disabled child turns 18, the interested party must petition the court to obtain legal guardianship. A guardian is a person the court appoints to make decisions regarding the disabled person. 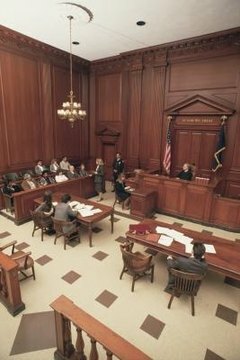 The court may appoint a guardian of the person, the property, or both. The guardian of the person handles only those matters related to the person’s medical care, lodging, clothing, and food. The guardian of the property handles the person’s income and financial assets, and pays his bills. A disabled person needs a guardian if he can’t properly care for himself or make his own decisions. The person may not be able to go shopping or to doctor’s appointments without assistance. He may not have the mental capacity to make important medical decisions, sign contracts, manage bank accounts, or buy and sell property. Practically anyone can qualify to become a guardian as long as he is willing to perform the duties required and to put the disabled person’s well-being first. However, the guardian can’t be a convicted felon in most states. A spouse, parent, adult child, friend, lawyer, agency or corporation can serve as a guardian. Ultimately, the court decides if the person or agency in question would make a good guardian. The specific process for becoming a guardian may differ slightly from state to state. In general, the person who wishes to become a guardian hires a lawyer to file a petition with the court and pays a filing fee. The court appoints an attorney for the disabled person to protect his rights. The court sets a hearing and determines whether the disabled person is incompetent, based on a doctor’s evaluation. The disabled person can contest the appointment of guardianship, but has to prove that he is competent. After hearing all the evidence, the court decides the case. The primary benefit of legal guardianship is that the disabled person has someone who can make decisions on his behalf and ensure he has a good quality of life despite his disability. However, guardianship does have disadvantages. The disabled person assigned a guardian must have someone else make every decision for him. This can be difficult for the person who has the mental capacity to understand what is going on. A person should petition for guardianship only if there are no other alternatives available to ensure that the disabled person’s needs are met. Tucker, Cynthia. "Legal Guardianship for a Disabled Child After 18 Years Old." , https://legalbeagle.com/11372718-legal-guardianship-disabled-child-after-18-years-old.html. Accessed 19 April 2019.